A series of strange murders in New York has drawn the attention of FBI Agent Nicole Bonnet! Scour the gritty streets of Gotham as Agent Bonnet, unraveling the clues to the uncanny crimes in this thrilling Large File game. Follow the diabolical murderer`s trail across sprawling cityscapes, ancient ruins and shadow-hewn jungle depths! Can you piece together the sinister motive linking the crimes? Buy Art of Murder: FBI Confidential today and find out! 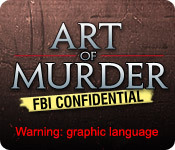 Art of Murder: FBI Confidential is rated 3.0 out of 5 by 11. Rated 5 out of 5 by Sergeij from Yet Another Nicole Bonnet-City Interactive Mystery Colossus! Thanks once again to City Interactive and to its CEO, Marek Tyminski, for bringing us another masterwork, "FBI Confidential." The heroine, Nicole Bonnet, finds herself once again immersed in a series of ritual killings that are not for the faint of heart! All are connected, and take Nicole from New York City to the jungles of Peru, in search of the perpetrator. The game is totally linear, which is the format I prefer, and the graphics are beautifully stunning. The storyline is right on target, and the voice-overs are top-notch. Just a small note: Gina Tuosto was the voice of Nicole Bonnet. I can't recommend this game enough! It was a wild ride from beginning to end! Rated 5 out of 5 by Linny394 from Good for Adventureholics If you want a classic point and click adventure RPG, well, you've found it. Art of Murder: FBI Confidential follows a fairly linear script, where you must complete all the given tasks before you're allowed to leave an area (i.e. before you can leave the FBI offices you have to take care of all business). One thing I wish was different was actually being able to call people in the game at any time, rather than wait for it to happen automatically. I also found several of the puzzles quite challenging, and thought it would have been nice for a Skip option to be available, for beginners. Rated 3 out of 5 by scarreddarling from It was ok. Lengthy game, kind of tedious. Rated 3 out of 5 by gingergal from Decent mystery, worthwhile playing but there are a few cons. I demoed this game years ago and frankly was bored by it as the game opens up as you are playing a character that is a rookie FBI agent. With it comes rookie jobs which you have to do. It opened up in an office and the menial task at the beginning put me off (and I love procedural games like CSI.) But I tried again and finished it and although it did take me a while to get into it, once the tedious jobs lessened and the plot developed it got interesting. This is the most linear LF game I've played, and it's good if you are a beginner as you can't leave an area if you have missed something. The locations are presented to you so you don't have to wonder where to go next. The graphics, plot is good and if you remember to right click on everything in inventory and try combining everything and go over every scene like a comb you should be OK. Keep clicking on a character until they start repeat conversations. There is no hints and no skip on puzzles. You have a PDA with notes, a phone and camera so remember to phone people and take photos when needed. It's a manual save, point and click game. It's not a 360 game (no nausea). CONS - -Hard to find, well blended objects that you have to pick up. 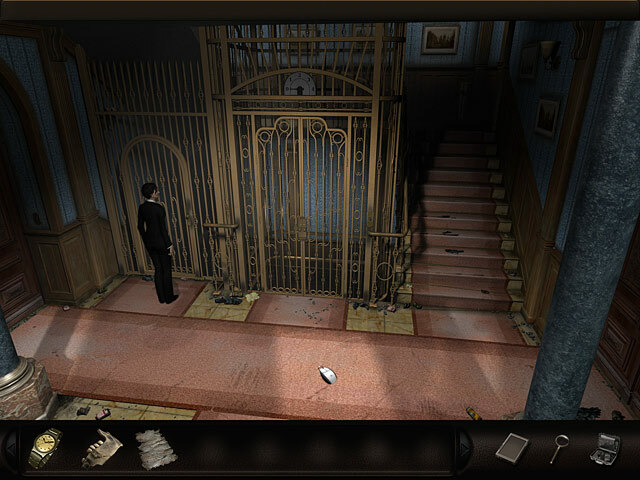 -More back and forth between conversations or conversation and an action, than usual and even if you have just examined a room to see if there is anything to do, even if you do the smallest thing it can unlock it so you are constantly scanning. I'm used to doing that but this game it's more than normal and coupled with the sometimes pixel hunting for items or interactive areas, it makes the process longer. - Most annoying, literally a mouse icon, for your cursor. - Comments when you try and click things "well that's stupid" or "that's a lousy idea" drove me up the wall. - One puzzle the execution of it was bad (allowed some wrong items to be used but not others so you thought some things were in the right place) Overall it's a worthwhile game to play and I slowly warmed to her character but especially at the beginning the gameplay can be stilted and not really fun I can't put my finger on it but gameplay left me a bit cold, despite some good locations and nice areas to explore (at the end.) The plot was the driving force and the big positive thing in this game. Will be interested to see how the next game in the series is, as I will be playing it. Rated 2 out of 5 by Mvlr from This game is no fun The game is so slow and boring. Rated 2 out of 5 by sorbonnes from Running around in Circles I personally like adventure games where the highest percentage of time is spent using my brains and doing the work. This one is all dialogues and running around in circles for a storyline and ending that is not that compelling to begin with. Finished it because I'm a hard-headed player and once I paid for a game I want to complete it at least once, but probably won't be playing it again, sorry. Rated 1 out of 5 by sportygal2009 from A Great Game Ruined By A Random Solution Puzzle This review is based on about 3 hours of game play. 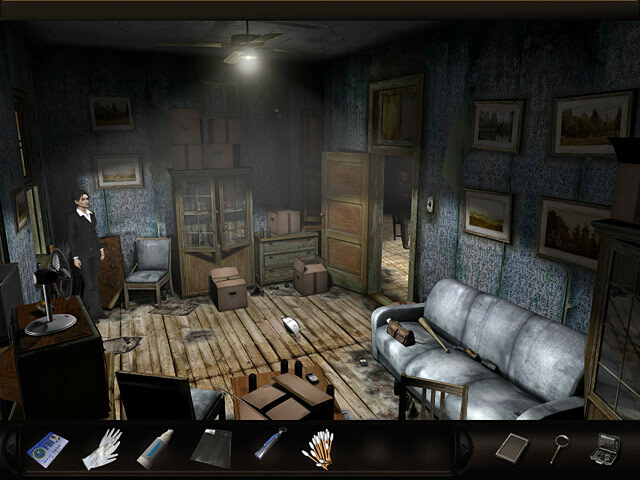 Well I'll start by saying I'm pretty new to the large file games and the first one I completed was part of this series and that being Art of Murder: The Puppeteer. While this game was not an easy one and very challenging well I was able to finish it and yes I did consult the walk through about 4 times for the game and I rated that 5 stars so I was looking forward to playing the rest of the games in this series so I purchased this game here... The demo while challenging for me I still found this to be an excellent game and I also didn't consult the walk through at any time during the demo play. I really loved the story line, graphics, characters and voice overs. Where this game went down the hill for me was this "random" solution of flipping the light switches in the basement until you hopefully get them to come on. Oh and once you put in what you *think* the solution may be well then you have to "step back" away from the puzzle to see if it's correct or not because it won't just tell you and well I worked close to 2 hours just on this puzzle alone and way too much madness for me. I'm all for trying to figure stuff out but I won't spend anymore than this on just one puzzle. If this is some people's idea of fun spending hours on end trying to solve one puzzle and that's what makes a game long and great well more power to you. No I don't expect nor would want to spend just a few seconds on a puzzle but I'd say anymore than 5 to 10 minutes is too much madness. Oh and if I can't figure it out well there should be a solution for this in the walk through or strategy guide and you can also bet I've wrote into Big Fish Customer Service about this nonsense and to pass it on to every developer to have solutions for all the puzzles. I'm mean why bother making walk throughs and strategy guides for games if the solution to a puzzle isn't going to be there? Overall sorry Big Fish and developer but this definitely gets the 1 star stop the madness, cut this off and pull the plug rating. 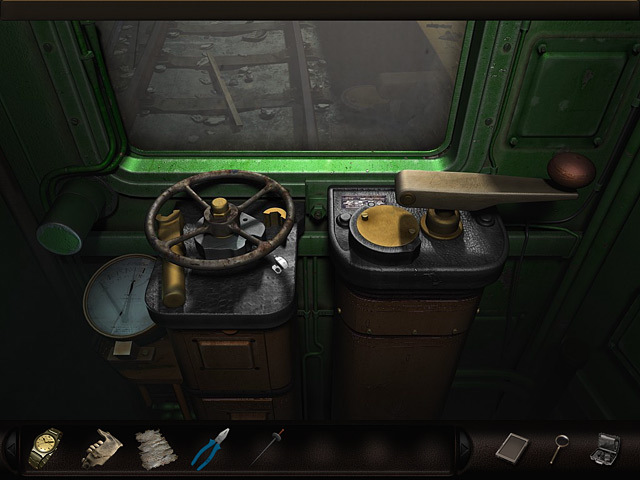 I'm all for seeing more of these Art of Murder games but please put the solutions to puzzles in the walk through in case needed. As always, give it a whirl and decide for yourself. Rated 1 out of 5 by Ale00H from Why bother Not worth it, I tried several times to play it. Play as Special Agent Nicole Bonnet as you investigate the gritty streets of New York on the trail of a heinous ritual murderer!